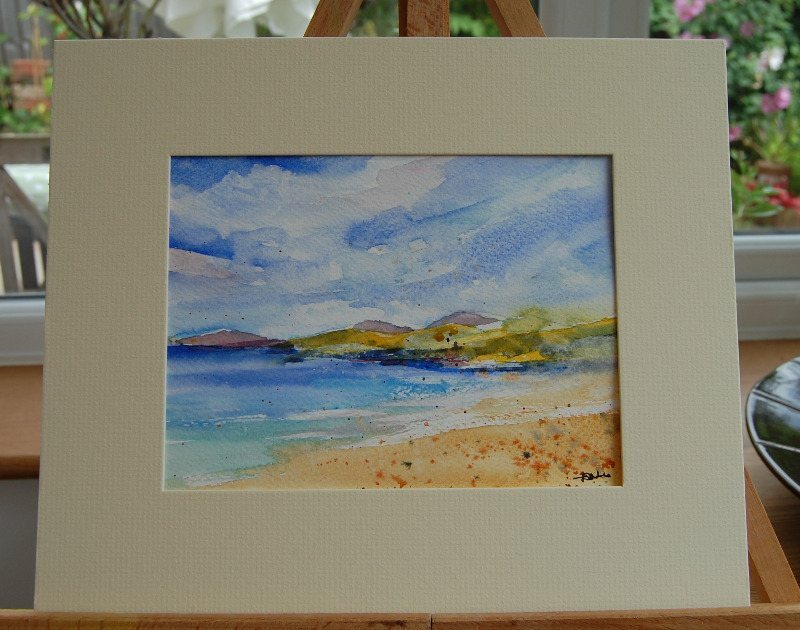 SOLD 'Isle of Harris I' Original Watercolour Landscape Painting Mounted 10"x12"
Sorry, this painting is now sold. 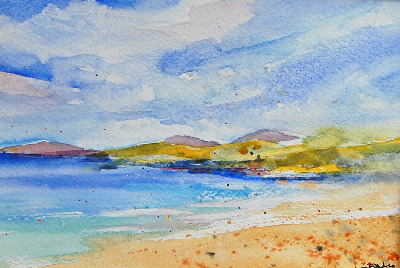 Contemporary landscape original watercolour painting of the Isle of Harris, Outer Hebrides, Scotland. Original fine art painting mounted in a 10"x12" cream coloured mount and placed in a cellophane bag for protection. Mount aperture approx 6"x8".